Your digital life doesn’t need to take a backseat to your driving pleasure, the 2018 Mercedes-Benz S-Class is loaded with features to enhance your driving experience. From smartphone connectivity to continually updated road condition information, the 2018 Mercedes-Benz S-Class offers the latest technology advances for a truly elevated ride. A collection of services and features that makes Mercedes-Benz ownership safer, smarter, and more fun. 12.3-inch central high-resolution display and touchpad controller allows you quick access to a variety of functions including audio and navigation. Your 2018 S-Class can send and receive road condition updates, keeping you aware of what lies on the road ahead. Seamlessly integrate your smartphone into your 2018 Mercedes-Benz S-Class, putting the apps and interface you know right at your fingertips. Merced drivers in search of a luxury vehicle with an array of technological enhancements, such as Mercedes me, need look no further than the 2018 Mercedes-Benz S-Class. 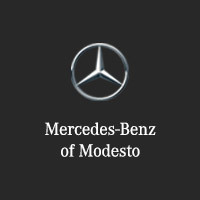 Experience the latest in technology today at Mercedes-Benz of Modesto. You can learn more about current lease and finance options or contact us online to schedule a test drive and bring yourself one step closer to owning the luxury vehicle you’ve been waiting for.